Drawing to James Schuyler's poem "Sunday"
Drawing to James Schuyler's poem "Daylight"
Vassar College, Poughkeepsie, New York. Larry Rivers and Kenneth Koch in front of their collaborative work "New York, New York, 1950-1960"
The Tibor de Nagy Gallery marks its 60th anniversary with “Tibor de Nagy Gallery Painters and Poets,” an exhibition celebrating the gallery’s pivotal role in launching the New York School of Poets and fostering a new collaborative ethos among poets and painters in post-War New York. The exhibit focuses on the gallery’s first two decades, the 1950s and ‘60s, when its vibrant, salon-like atmosphere and director John Bernard Myers’ passion for both art and poetry gave birth to these unique partnerships. The show features paintings by Helen Frankenthaler, Alfred Leslie, Trevor Winkfield, Nell Blaine, Joe Brainard, Grace Hartigan, Joan Mitchell, Jane Freilicher and Fairfield Porter; poetry collections published by the gallery’s imprint, Tibor de Nagy Editions, and featuring work by Frank O’Hara, Kenneth Koch, James Schuyler, John Ashbery, Barbara Guest and others, with illustrations by Tibor de Nagy artists; photographs and films by Rudy Burckhardt; letters, announcement cards and other ephemera; and archival photographs of leading cultural figures of the day by John Gruen and Fred McDarrah. 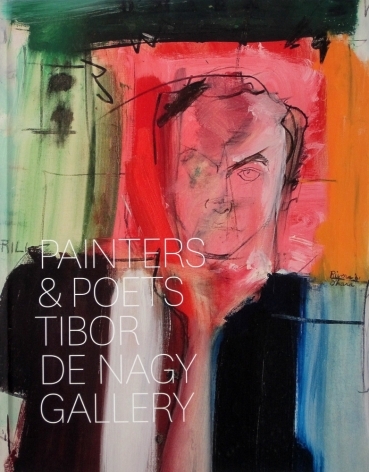 “Tibor de Nagy Gallery Painters and Poets” runs from Saturday, January 15 - Saturday, March 5. An opening reception will be held on the 15th from 4:00 PM - 6:00 PM; regular gallery hours are Tuesday - Saturday, 10:00 AM - 5:30 PM. Tibor de Nagy (pronounced TEE-bor dih-NAJ) is located on the 12th floor of 724 Fifth Avenue, between 56th and 57th Streets. 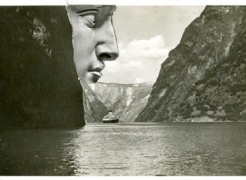 Duke, Virgil Thomson and others. its inhabitants in luminous black-and-white and saturated color.